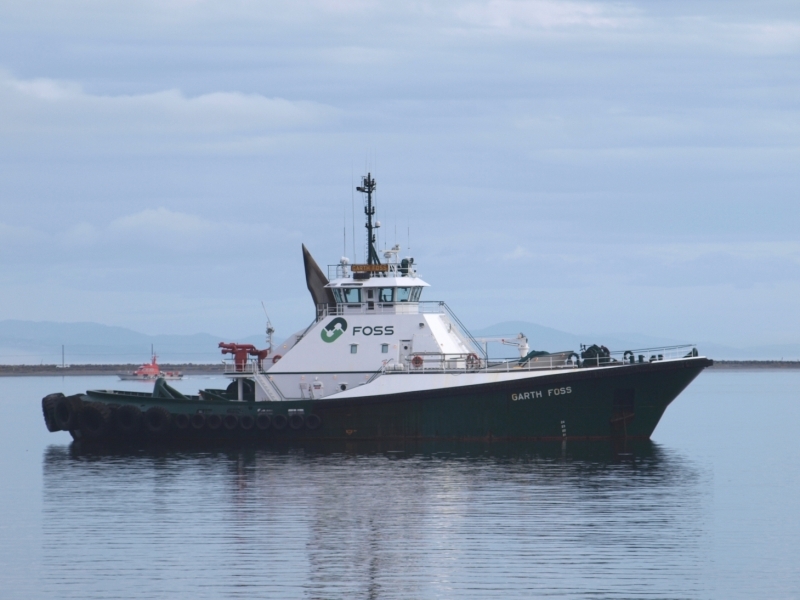 Built in 1993, by Halter Marine Services Incorporated of Lockport, Louisiana (hull #1354) as the Garth Foss for the Foss Maritime Company of Seattle, Washington. Powered by two, EMD ME16-710-G7A diesel engines. With Voith 36 GII/225 reduction gears, at a ratio of 15:1. Turning two, five bladed Voith Cycloidal drives. For a rated 8,000 horsepower. 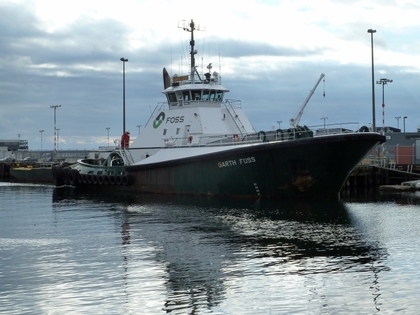 Her electrical service is provided by two, 180kW generator sets. Driven by two, Detroit Diesel 6V-92TA diesel engines. The tug's capacities are 85,000 gallons of fuel, 1,200 gallons of hydraulic oil, 2,400 gallons of lube oil, 7,900, and 9,048 gallons of ballast in two respective tanks. 6,240 gallons of foam, and 4,000 gallons of water. The towing equipment consists of a Markey bow winch/anchor windlass. Outfitted with 300(ft) of 6(in) Spectra line. And, a Markey, hydraulic, single drum, towing winch. Outfitted with 1,200(ft) of 9(in) line. With a 15(ft) Nylon intermediate, mounted on her stern. 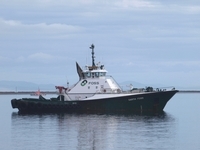 Ship Builder: HALTER MARINE, INC.